When you order a pizza on your phone you start by picking the toppings (no pineapple, obviously), sauce, crust type, and add any extras. Your order is then processed by the POS system. Through automation the pizza shop automatically receives your order and you receive an email confirmation with an estimated delivery time. That’s marketing automation: a series of automatic processes triggered by a specific action or signal. Marketing automation takes care of tedious processes, like confirming pizza orders, and automates them in the back end to improve efficiency. In this article we explain what B2B marketing automation is and how it works. I’ll explain how it works and show you some real world examples of how B2B marketing automation can benefit your workflows. At a basic level, your marketing automation platform provides you a section of code which you place in the back-end of your website’s code. 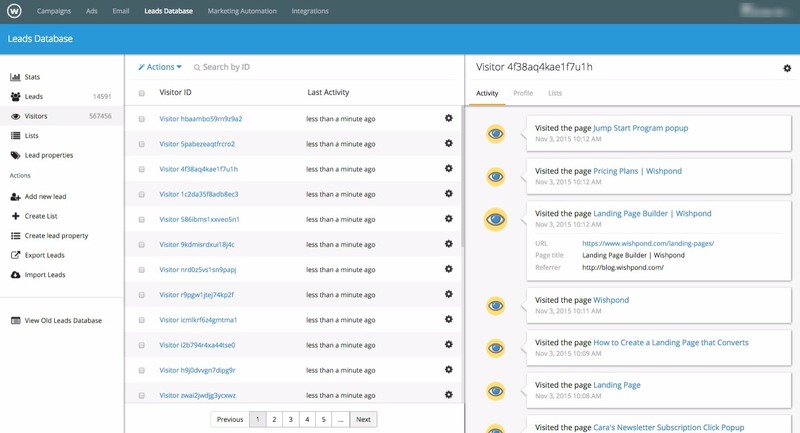 This code allows your marketing automation platform to “see” every visitor who comes to your site. Each visitor is tracked individually: their behavior, actions, traffic source and the details they provide your business. 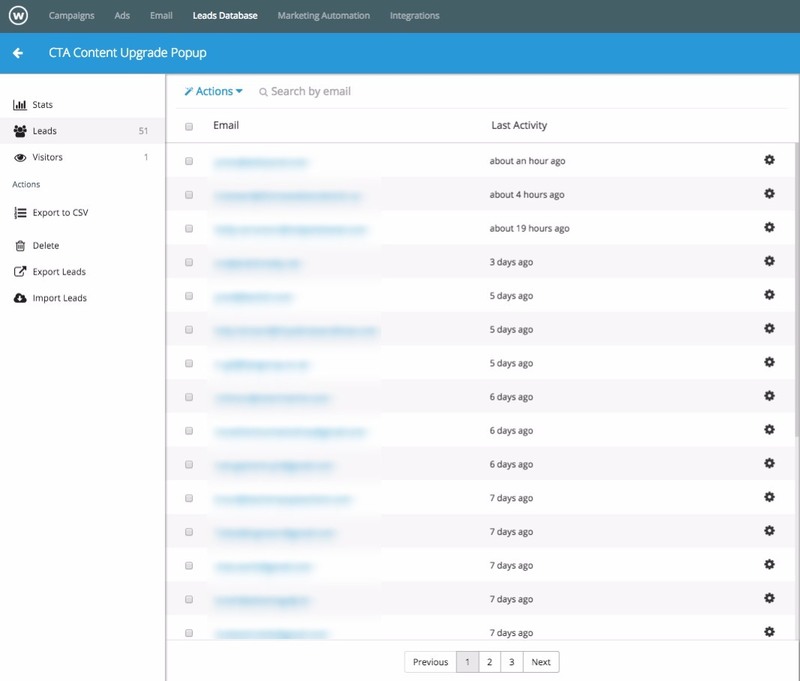 This information is sent to your marketing automation platform, where you can view each visitor’s details individually. By manually setting up lists or segments, you can place individual visitors into larger groupings based on actions they’ve all taken, ways in which they’ve all engaged, places they are in the world (or your sales funnel), and more. 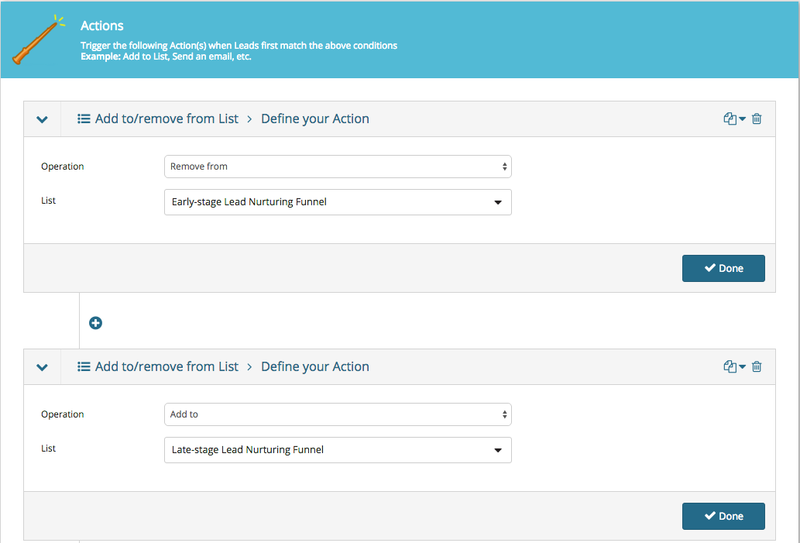 You can also trigger automatic actions to occur when a visitor or lead meets a specific condition. This can be anything from an email being sent, a retargeting ad being delivered, a change being made to your website’s design, and more. On the right side you can see the actions of one particular visitor (codename 4f38aq4kae1f7u1h) who’s been selected. If you were to select any of those leads, you'd see each action they've ever taken on our site or piece of information they've provided our business. 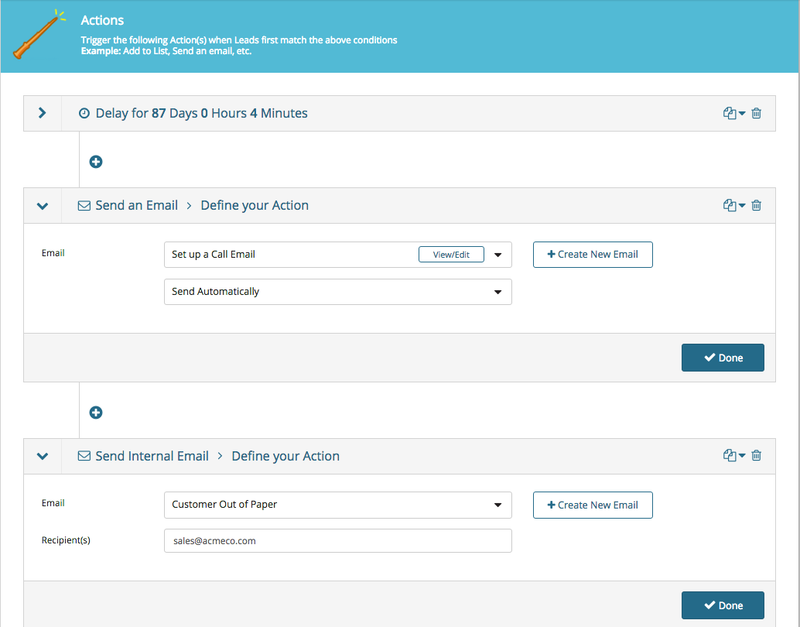 This is where B2B marketing automation starts, with a trigger. Converting on a popup on the Wishpond website and signing up for a free trial, for example, is a trigger. 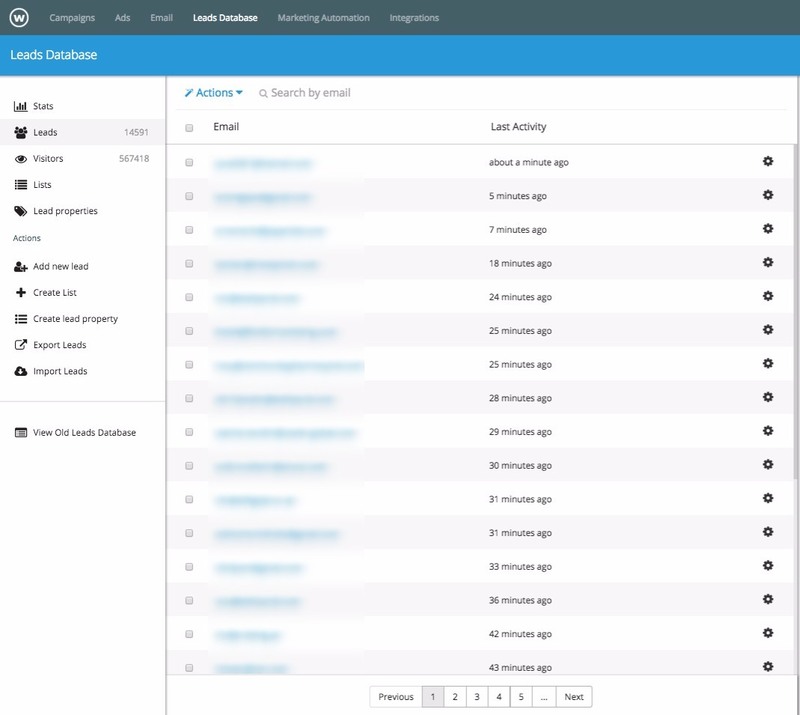 It sends a signal to our marketing automation system to send out a "thank you for signing up" email to get our new user started with Wishpond. 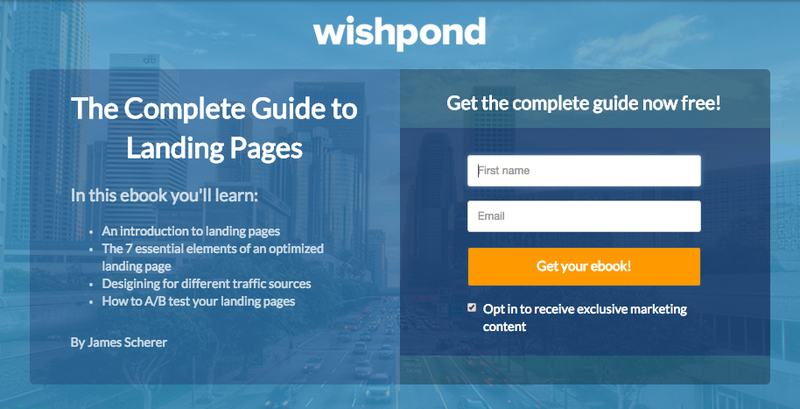 Once you’ve created your landing page (which you can do right within the Wishpond platform) and published it to your website, you choose your nurturing content and write your nurturing emails. For more on lead nurturing content and emails, check out my article How to Create Email Drip Campaigns to Nurture Leads. I’ve set a 7 minute delay after the initial condition is met (conversion) and then 2 or 3 days between all the subsequent drip emails being sent. I send them around the same time every day to better personalize the campaign. For the full guide to creating a lead-nurturing drip campaign, check out my article “How to Create Email Drip Campaigns to Nurture Leads”. The B2B market is sometimes focused not on lead generation or nurturing but on getting that initial sale and driving repeat customers. A lot of this is done through hard work, sweat and tears: sales associates and account managers grinding it out to get the job done. But what if it were a bit easier? What if all it would take would be 5 minutes and the click of a few buttons? Let’s say your B2B company sold office paper to large businesses and a three-month sales cycle (before the customer runs out of paper and you re-sell). Step #2: Create a simple workflow for all people who are within your “Customers” list. Because the business has a three month sales cycle, we set an automatic “are you ready to buy more paper?” email with an 87-day delay (this, of course, needs to be tested). We also send an internal email to the sales team notifying them that one of their accounts may need a call. 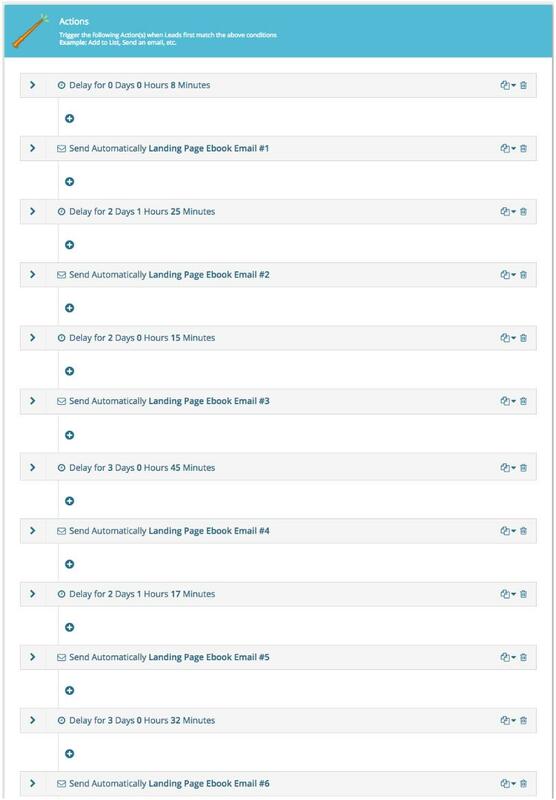 This whole process takes a few minutes, 90% of which is the writing of the emails themselves. These are just simple suggestions for how your B2B company can use marketing automation to make your work life easier, as well as more optimized. There are endless opportunities within marketing automation, from simple lead nurturing emails to dynamic website personalization, retargeting and more. If you can think it, marketing automation can do it.